It may have taken AMD a few years to rethink its CPU designs, but there may be some very serious competition on the horizon. According to Italian tech publisher Bits 'n Chips, AMD's Zen 2 platform could bring as large as a 13 percent average improvement in instructions per clock over Zen+. Naysayers of AMD's return and die hard fans of Intel have long since focused on metrics such as single thread performance and raw clock speeds as justification for their purchases. Bringing double-digit performance gains from the red team could quickly put an end to any such reasoning unless Intel shocks us all by unveiling a miraculous chip. Although there is little other data available, it should be noted that the IPC improvements are for scientific or compute-based tasks. There is no data to suggest how gaming will be affected by the alleged IPC improvements. Knowing that important enterprise customers typically are able to get engineering samples for evaluation, it is likely that the chip tested was a server-grade processor. Even if gaming benchmarks were available for the chip, it would likely not show any impressive results. Despite improvements to IPC, there is no expectation of significantly higher clock speeds. Process technology changes will be a deciding factor on just how high you will be able to overclock Zen 2 chips. TSMC's high performance ARM-based chips built on 7nm processes have targeted 4.4GHz, but that still does not provide any reliable data for how that will translate to x86 chips. Zen 2 is expected to launch later this year as second generation EPYC processors intended for enterprise use. Processors based on Zen 2 architecture intended for gamers and enthusiasts are not expected until 2019. A 10% increase in IPC is more than enough if they manage to increase the clock speeds past 4.5GHz (4.6-4.7 XFR boost). Jo3yization and Charles Olson like this. Charles Olson and EndRessentiment like this. Charles Olson, TempleOrion, EndRessentiment and 5 others like this. That's because Intel's TDP is only for base clocks. Ok, I have to call out TS here. When Intel puts out an architecture refresh that gets 10-15% IPC gains, you call it a small performance increase. When AMD does it, it suddenly becomes "greatly improved"? Sorry, I call BS. Be consistent and stop writing sensationalist headlines that are designed to get your audience to buy into a specific viewpoint. Um, when was the last time Intel had 10-15 % ipc jump. Based on what I know(I could be wrong) for the last 3-4 generations it's just been small 2-3% jumps in ipc due to AMD not providing competition and Intel being to lazy to innovate. TempleOrion, Jimster480, Charles Olson and 6 others like this. TempleOrion, Jimster480, Charles Olson and 9 others like this. Jimster480, Charles Olson, Eugenia and 2 others like this. Of course because architecture is exactly same. Charles Olson, Eugenia, wiyosaya and 1 other person like this. TempleOrion, Charles Olson, Eugenia and 6 others like this. You should probably do your research before you embarrass yourself in the tech forums. If Intel gave a 10-15% IPC increase, we'd all be praising that as well. Unfortunately that hasn't happened in a long time so it's kind of hard to report on something that isn't happening. TempleOrion, Charles Olson, Eugenia and 7 others like this. I am going to have to call out gamer2k here. Intel has claimed 10-15% performance boost, but that was all due to clock increases. They have brought nothing new since Skylake. If AMD can hit 4.5 ghz reliably it would be a beast. I also doubt AMD will try to sell them for over $500, unlike Intel. TempleOrion, Charles Olson, Eugenia and 2 others like this. A 12% IPC boost is very welcome. Haven’t seen either manufacturer offer that in generational update over what you can currently already buy from any manufacturer since Intels 2xxx series launched. I also think that a 12% IPC increase will shake the market up a lot more than their huge core count increases of the original Zen launch did. It would also go a long way to make up for the huge clock speed deficit Zen processors currently have against Intel CPUs. And if AMD can get a few hundred MHz more out of Zen 2 then we could even see the premium CPU market turn their eyes to AMD. Which I haven’t seen since the days of the monolithic (and very expensive) Athlon64 FX series. Charles Olson, TempleOrion, Vulcanproject and 2 others like this. I hope from Z2 for some higher core count APU's. Intel has not had a 10% or greater IPC gain since Broadwell. So your reaction is disingenuous. You should kiss AMD's *** for the real competition and innovation they have brought to a dull monopolistic market. TempleOrion, Charles Olson, Dimitrios and 2 others like this. 10 percent IPC for gaming and 10 percent clocks at the top end (~4.6GHz versus a typical XFR boost of 4.2GHz) would make any 8 core successor to the 2700x in the ballpark of the as yet released $480 i9 9900k, and the six core versions close to an 8700k. Ryzen's manufacturing process to date on Global Foundries has prioritized low power consumption over higher performance. Depending on how aggressive they are on TSMC's high performance version of 7nm it is not beyond imagination the better Zen 2 parts could start pushing 4.7GHz and beyond. AMD will have closed the gap on Intel to essentially nothing. The only question that would remain is pricing. 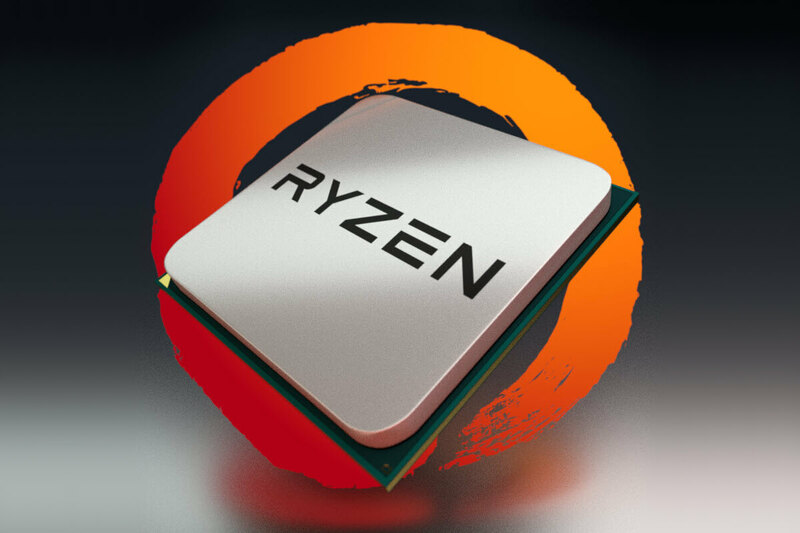 If AMD can pitch Zen 2 parts at the kind of strongly competitive prices we see for Ryzen 2 today then 2019 will be a landmark year for them. Ryzen 3700X matching the 9900k in spring 2019 for $350, perhaps less? I honestly wouldn't mind higher power consumption. Right now AMD has the edge in that department and 7nm will only give them more power savings. If they take that and invest it into higher frequencies they will likely still end end consuming less power then Intel's offerings. I think the big question is, what is AMD going to do with the extra die space when they move to 7nm? Are we going to see more cores or something else? Jimster480 and Charles Olson like this. I believe that if a 3700X was released and it matched or beat a 9900K then I reckon AMD would charge more than $500 for it. I mean, remember, AMD did originally charge $500 for the 1800X. Companies only reduce prices on products if supply is ahead of demand. They do the opposite and raise prices when demand is ahead of supply. Yes but then again it had double the cores of Intel's 7700K at the time. If AMD decides to charge $500 for the 3700X it would more depend on if it performs on par or better then the 9900K. The bad part for Intel is that AMD can easily afford to lower the price of it's processor if they get into a price war. MCM design keeps the die size down and yields high. Intel on the other hand has it's cost increase exponentially as die size increases. There's a reason Intel's HEDT and server processors are so much more expensive, Intel simply cannot complete on price. If I were AMD I would price the 3000 series aggressively. They have a huge opportunity to finally regain a halo product. I also doubt AMD won't release a 3800X at some point. Would like to see a return of Black Edition CPUs that are binned. Jimster480, Charles Olson and EndRessentiment like this. 12% seem like a good gain but keep in mind that this comes with a full node shrink. Is this all we will get from arch improvement + node shrink? No, IPC improvements come from architecture. Better node adds more clocks on top of better IPC. Architecture is transistors though. So it should be a bit of both. You obviously want to add transistors because that is the point of shrinking them smaller. But you have to add them only in the smartest areas to improve IPC and control power consumption. In a GPU that is highly parallel, well then you can just add a load more of the same processing clusters to make the chip faster. In a CPU which is not parallel then deciding where to best add transistors is probably more difficult. Do you add more transistors to an existing design? If you do that over successive generations, does the chip end up bloated, lopsided and inefficient? Would it be better to just scrap that and start again with a clean sheet, years of work? Plenty of example like this, particularly the Pentium 4 where it reached an evolutionary dead end. Intel ended up binning the whole thing and started fresh with Core 2. Good decision. Same with AMD's K10 nonsense. TempleOrion and Jimster480 like this. 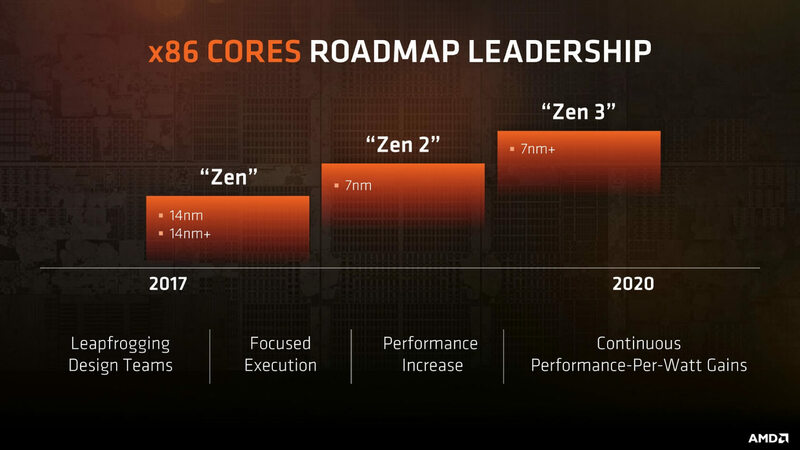 Zen 2 will likely have 10 cores at the high end. More would eat into Threadripper sales. 10 cores would be very nice. I hope they increase to 6 cores on the apus. 2nd, 10 cores isn't possible with AMD's CCX design. It has to be a multiple of 4.